While Google is pulling back from a consumer release of Glass, Sony is moving forward with sales to developers of its augmented reality SmartEyeglass. The struggling Japanese manufacturer said Tuesday it will release its Android-compatible smart glasses for $840 in early March, targeting developers and industrial applications ahead of a commercial release in 2016. That’s just over half of the $1,500 that Google was asking from early adopters of Glass before it shut down commercial sales of the wearable display last month. Sony is also upgrading an SDK (software development kit) that it first released last September, and has posted detailed specs on the device’s website as well as application suggestions for workplace uses. They include construction or maintenance workers being able to view schematics while laboring hands-free or security guards being informed of a threat, with relevant data displayed on the lenses. Sony said Tuesday it will release its Android-compatible smart glasses for US$840 in early March, targeting developers and industrial applications ahead of a commercial release in 2016. 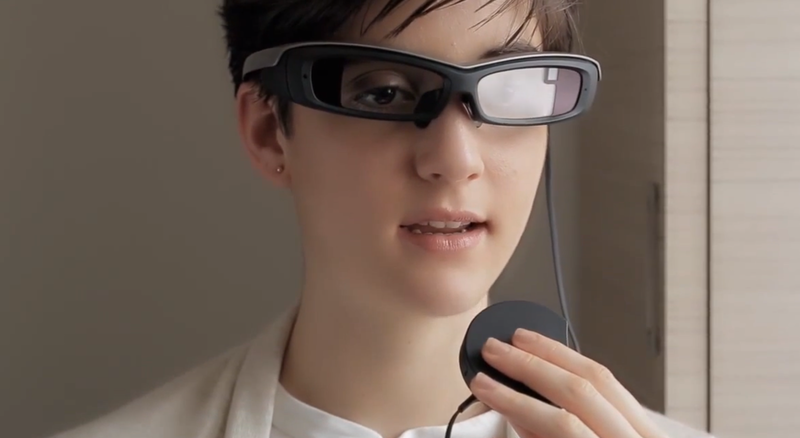 The Internet-connected SmartEyeglass can display low-resolution monochrome imagery and text such as SMS messages on the lenses, overlaying the information on the user’s field of view. The 3mm-thick lenses have an 85 percent light transmittance rate and objects are highly visible, according to Sony. In contrast to Google Glass, information on the Sony display is very easy to see but it must be manipulated with a separate, wired controller unit that houses a microphone, speakers and an NFC module. Weighing 77 grams, the smart glasses have Wi-Fi and Bluetooth connectivity and can obtain GPS data by linking with a smartphone. They also feature a 3-megapixel camera and sensors such as an accelerometer and gyroscope. The SmartEyeglass Developer Edition SED-E1 will be released in Japan, the U.S. and Europe on March 10 and will be sold through the Sony Developer World website. 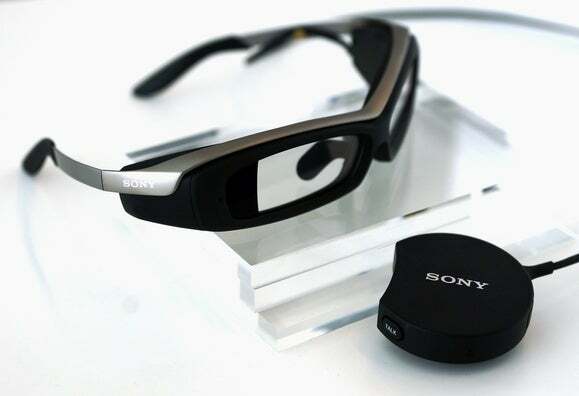 Sony’s experiments with connected eyewear also include the “SmartEyeglass Attach!” prototype shown off at CES 2015 that is closer to Google Glass in that it has a side-mounted OLED microdisplay. It’s designed for relatively brief periods of use, such as lining up a shot in golf.